Mae Vandermark was born in Pennsylvania and came to New York City in 1924 to work as a stenographer. 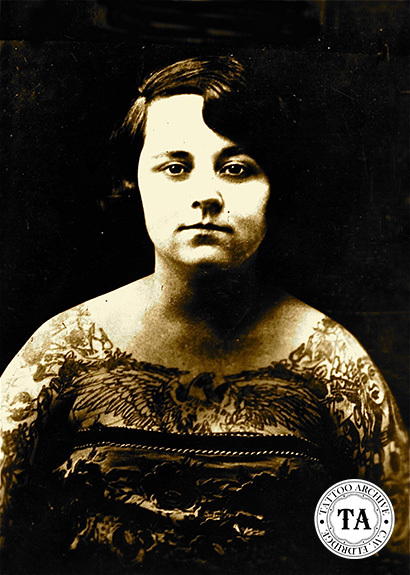 Tattoo legend tells us that one day while swimming at Coney Island, she saw a butterfly tattoo on someone's shoulder and just had to have one. Mae found a boardwalk tattooist and got a butterfly tattooed on each shoulder. As fate would have it, Mae met Victoria James who was also known as Miss Pictoria. 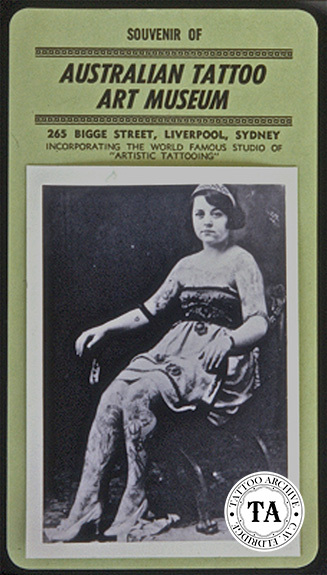 Miss Pictoria convinced Mae to become a professional tattooed lady and off they went to see Charlie Wagner. Wagner tattooed May and she started playing Coney Island shows. She took the stage name Miss Artorio and eventually graduated to working with the Ringling show in the late 1920s.